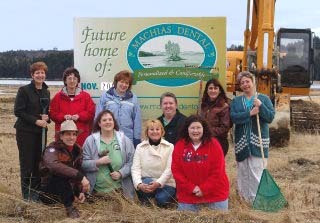 I’ve been telling you the story of Machias Dental, a practice in Maine that is outgrowing its building. (Catch up on the project overview and the financial considerations.) Dr. James Sparaga has launched an ambitious project to build a brand-new, state-of-the-art dental facility that will feature 7 operatories, 5000 square feet, and the most current technology. The Sparagas decided to go big. They would construct a new practice big enough for an associate. Next, of course, came the logistics of planning. Dr. Sparaga obtained land in return for a dental trade. They spoke with architects and contractors. Blueprints were drawn up. The Sparagas started spending some real money on the project. Finally, ground was broken. With rain expected in the fall and snow in the winter, timing was critical. 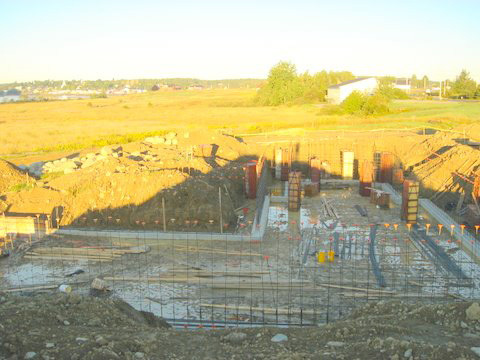 Fortunately, the foundation was laid before the rain struck. Whew! Check in next week for another update!